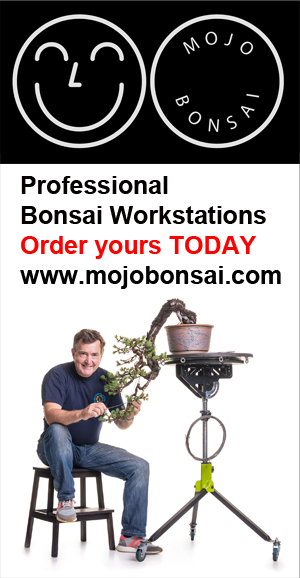 I have a passion for teaching and helping those who wish to take their bonsai to a higher level. I have coached three individuals in the EBA New Talent Competition and they have all gone on to win the UK heat and place well in Europe. My student’s trees have won many prizes including the prestigious Gingko Award and Noelanders Trophy. Preparing your trees for exhibition. Hawthorn from raw material to exhibition including three case studies. Creating a show quality Escallonia Bonsai in 5 years from Garden stock. Conducted at a venue of your choice and location and catering for up to 10 participants this is a great way for your club to progress and improve the overall level of member’s trees. Participants provide their own trees, tools, wire etc. Full day or two days are recommended. I am available for National and international Events and Conventions worldwide. I have demoed throughout Europe and beyond over the last 20 years.